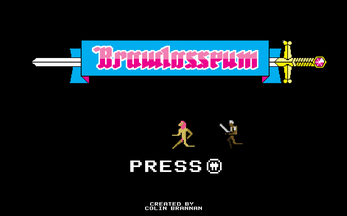 Brawlosseum is an arcade game about cooperation and communication. 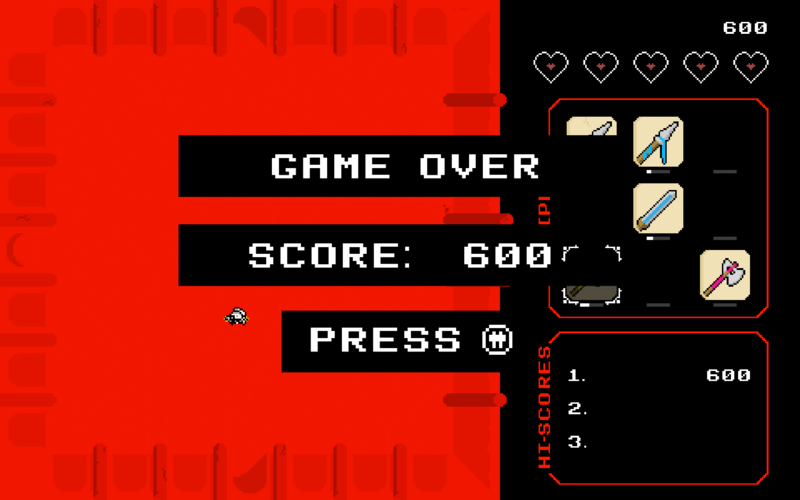 Players work together to control one character, fend off enemies, and climb the leaderboard. The game leverages the classic arcade environment to make the game a social activity. 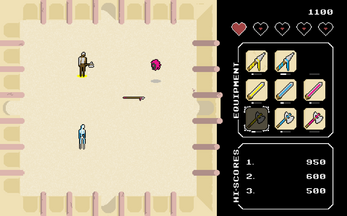 In the game, one player uses traditional character controls, while the other does their item management. Dividing the gameplay like this also allows for people of different skill levels and experience to enjoy the game together by playing the role suited for them. The players must communicate and succeed in their separate tasks to win. 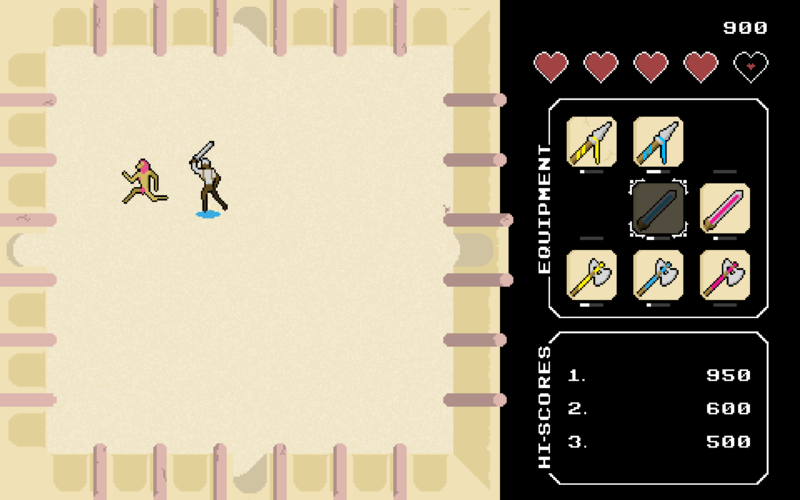 This system was inspired by the complex user interface often found in modern games, where navigating menu is as much a part of the gameplay experience as controlling the character. 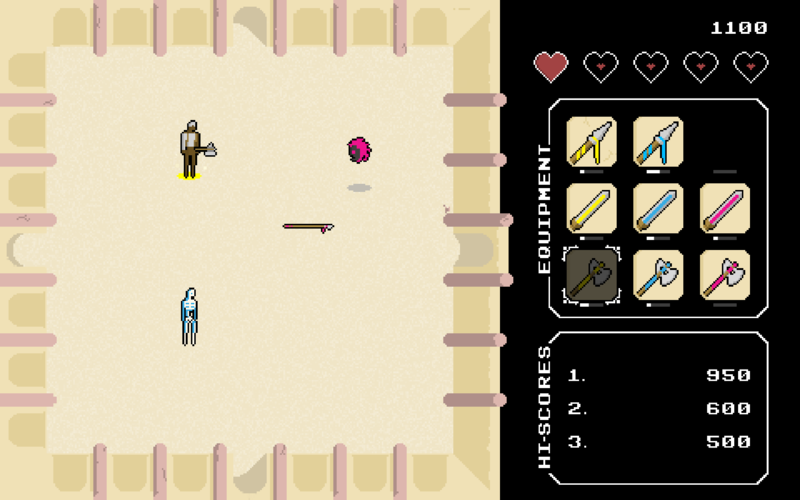 In this, I hope to encourage others in the game design community to think about their interface design the same way they think about traditional gameplay and mechanics, and develop other exciting new interface experiences. 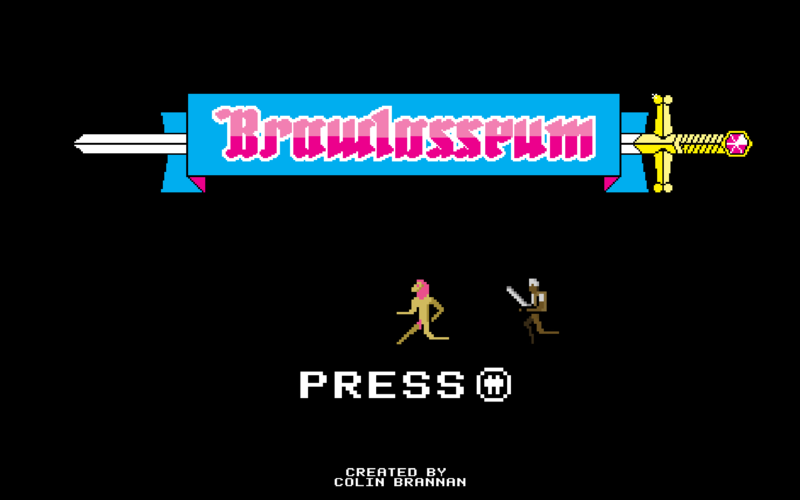 Brawlosseum is best played in an arcade cabinet, but now you can bring the fun to your home PC! Audio by Little Robot Sound Factory & Red Button Audio.